Featured in Elle, Harper’s Bazaar and House of Coco; we chat to Kathy Shimmield, the face behind our latest designer collection. 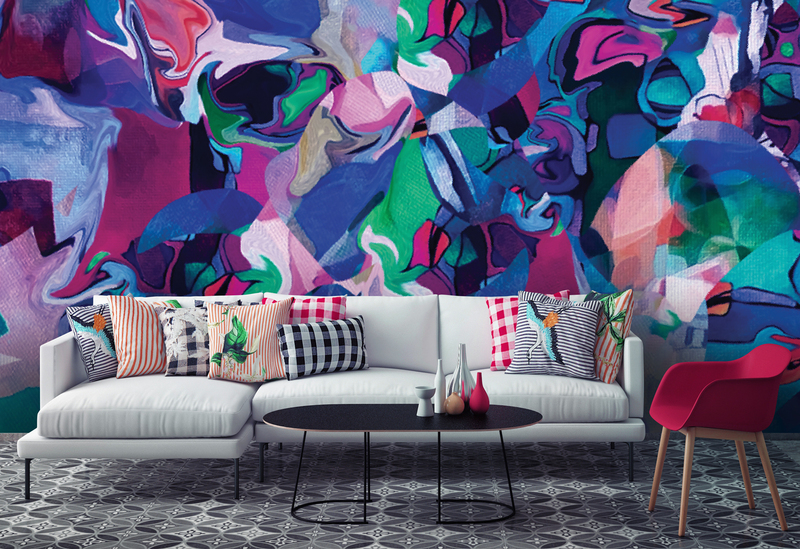 Described as bold, fun and colourful this wall mural collection features a range of different designs to suit anyone, from someone looking for an eye-catching bedroom feature wall to a hotel looking to create beautiful decor. We chat to Kathy about her life and what inspired the collection. Q. Tell us a little bit about yourself, Kathy. "I'm a self-taught digital artist that used to create kids iPhone apps, just the design side (not the programming) and I've also had careers in business development and marketing. I have three teenagers and I've been married for 20 years. I love to just sit with a cup of tea with my dog at my feet snoring while I watch a great historical documentary." Q. How would you describe your collection? "I've had people tell me my designs cheer them up or make them smile - which thrills me to hear. 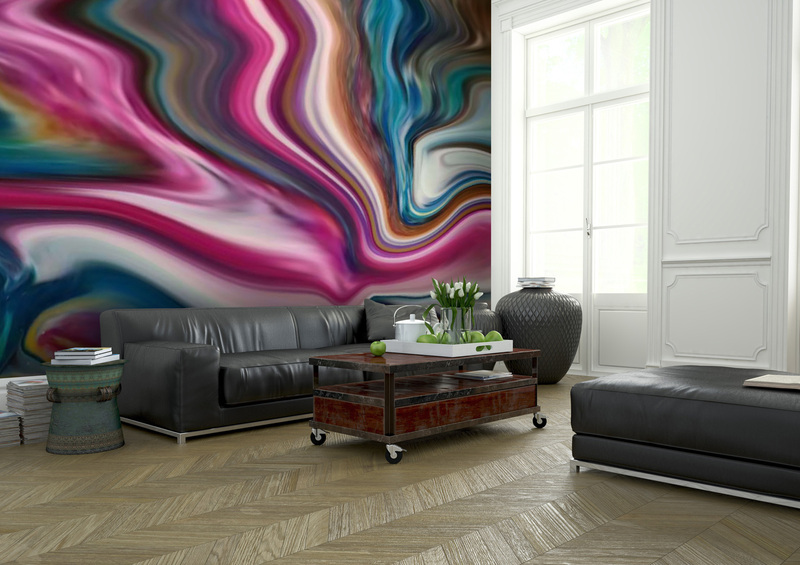 I'd describe my collection with Wallsauce as a mix of some of my favorite abstracts. Some are floral in nature and others are bold strikes of color meant to grab the eye and keep hold. Pieces that start a conversation and get noticed. " Q. As a self-taught artist, how did you come to fall in love with art? "I've always loved art. Even as a child if we were on a trip and someone mentioned we were going to see an art museum I was the one kid that was always excited about it." "Each piece is unique and has a different story"
Q. Who did you have in mind when you designed this collection? What kind of homes do you see your work in? "Each piece is unique and has a different story, but they all begin with something having inspired me throughout my week - and then when I sit at my computer I recall those images and begin my own interpretation of what I saw, or what it was that I truly loved about the image and I go from there. As far as where I see my work, I've no idea because there are many different types of designs... 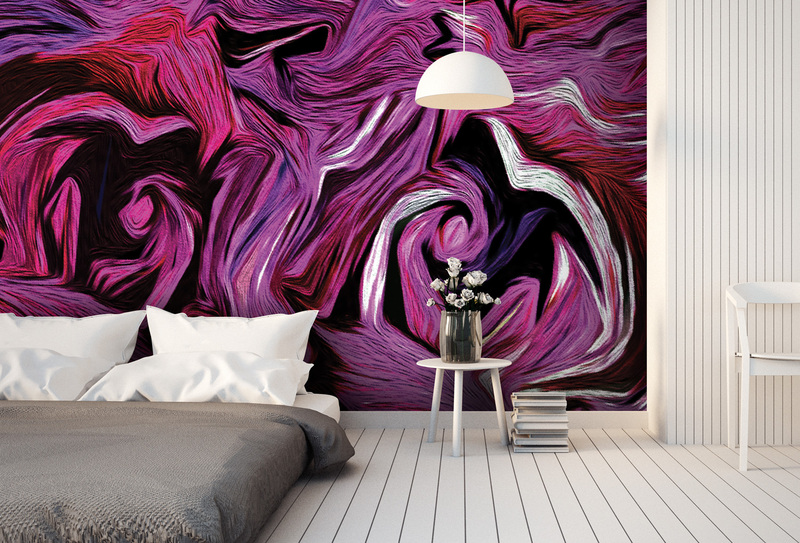 Some, I can see easily in a bedroom that wants that special eye-catching wall and other, more intense designs would be great for commercial properties. Q. What are your favourite pieces from the collection? That's a really hard question to answer as it depends on my mood. They are like my kids in the sense that they are so different yet I love each of them just as much as the other. Q. Did anyone inspire your work? No this all comes from within, and not something I can force out...I see something or think something and the visual comes to me and I begin to create. But many times it turns out completely different than what I originally thought it would be. Each time is an adventure. Q. Who is your favourite artist of all time? My all-time favorites are Van Gough, Paul Klee, Kandinsky and Picasso. If I had to pick just one, that would be hard for me as my taste changes with my mood. I guess Kandinsky. Shop this beautiful wallpaper collection from Kathy Shimmield. And, leave a comment to tell us what you think! We'd love to hear your comments on this collection.